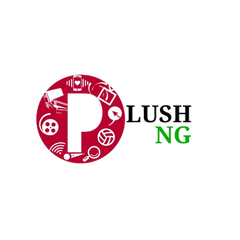 If you are a lover of movies, you would definitely agree with us that October has seen the release of a number of fantastic movies. With a mix of cerebral blockbusters, cinemagoers favourites and mysterious thrillers being released all through the month of October, there definitely shouldn’t be any excuse to be bored this month. If you have no idea regarding what movies you should spend your time watching in the remaining days of the month, here are four movies that will be worth your time. 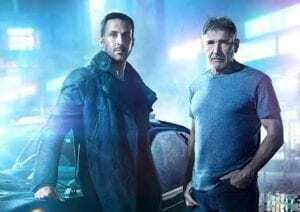 Starring Ryan Gosling, Harrison Ford, Robin Wright and Dave Bautista, Blade runner 2049 was released on October 6th and follows the story of a young blade runner named officer K (Ryan Gosling) who only recently discovered a long-buried secret that leads him to track down former blade runner Rick Deckard (Harrison Ford), who’s been missing for thirty years. The movie features and enviable cast ensemble and loads of glorious visuals captured by master cinematographer Roger Deakins, should definitely make it worth your time. The visuals should definitely be in the running for an award at next year’s Oscars and very few movies would be able to top what it delivers. Starring Vicki Pepperdine, Margot Robbie and Domnhall Gleeson, the movie takes a behind-the-scenes look at the life of author A.A. Milne and the creation of the cartoon character, Winnie the Pooh. While you may actually think a S movie like this would be boring, spineless and bereft of originality simply because it is based on a talented writer who writes inspiring stories, then you’re totally wrong. The story is in the same vein as as “Finding Neverland”, but it is much more edgy as it takes a look at how the character of “Winnie the Pooh” came to be with an excellent interpretation by the cast. The Florida Project was released on October 6th and stars Willem Dafoe, Brooklynn Prince, Caleb Landry Jones and Bria Vinai. The film is set over one summer and follows the activities of mischievous 6-year-old, Moonee (Brooklynn Prince) as she courts trouble and adventure with her band of ragtag playmates. During the course of her adventures, she bonds with her rebellious but caring mother Haley (Bria Vinai) , all while living in the shadows of Disney World. The two live week to week at “The Magic Castle,” a budget hotel managed by Bobby (a career-best Willem Dafoe), whose stern exterior hides a deep reservoir of kindness and compassion. Willem Dafoe plays a much gentler role than we are used to seeing him in and helps to make the film a real heartbreaker, so much so that we expect it to be up for a number of awards later on. 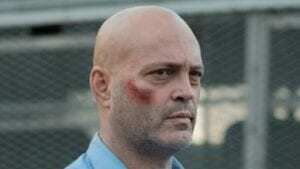 Brawl in Cell Block 99 follows the story of a former boxer who loses his job as an auto mechanic just as his his troubled marriage is about to hit the rocks. At this crossroads in his life, he feels that he has no better option than to work as a drug courier. He soon finds himself in a gunfight between police officers and his own ruthless allies. When the smoke clears, Bradley is badly hurt and thrown in prison, where his enemies force him to commit acts of violence that turn the place into a savage battleground. The movie is directed by S. Craig Zahler and it’s stellar cast includes Vince Vaugh, Don Johnson and Jennifer Carpenter. It is a captivating and enthralling movie that is definitely worth your time.